Safety, ergonomics and efficiency are what our Hubbell Workplace Solutions line of products will solve for your industrial workspace or office needs. If your company assembles, ships, or has an office, paying attention to workplace ergonomics increases productivity, reduces workman's compensation claims and costs, and improves employee morale. Hubbell Workplace Solutions workstation systems are fully adjustable to fit any task and any worker. We do not make workbenches. 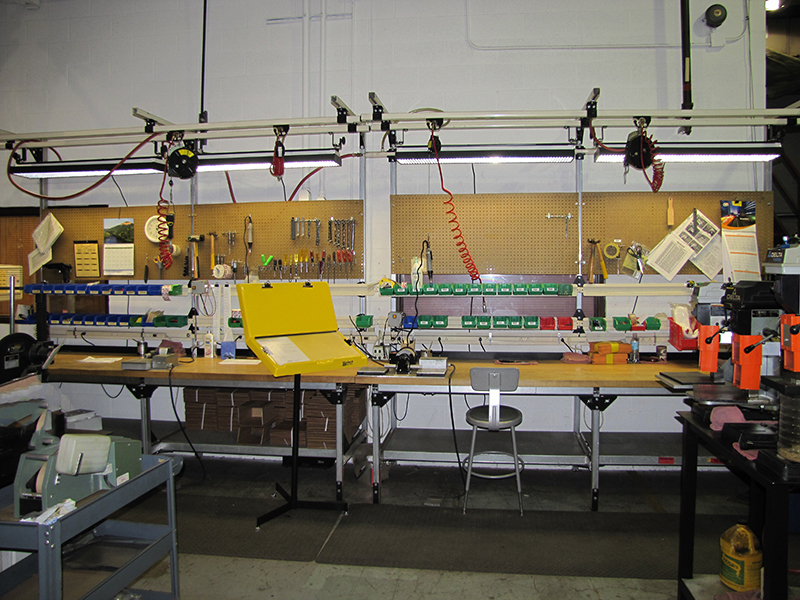 We specialize in workstation kits, components and accessories that can be affixed to or used with new or existing benches, conveyors or other work areas. Along with workstations we offer other types of supporing products. Gleason Reel is a proud member of the Hubbell family.